How to convert Excel 2003 XML files? You are here: CoolUtils > Total WebMail Converter > How to convert Excel 2003 XML files? Hotmail service stores emails on the remote web server, providing access to them via web-browsers or desktop mail clients. To extract your messages from a mail server, you need to convert them to some document format. 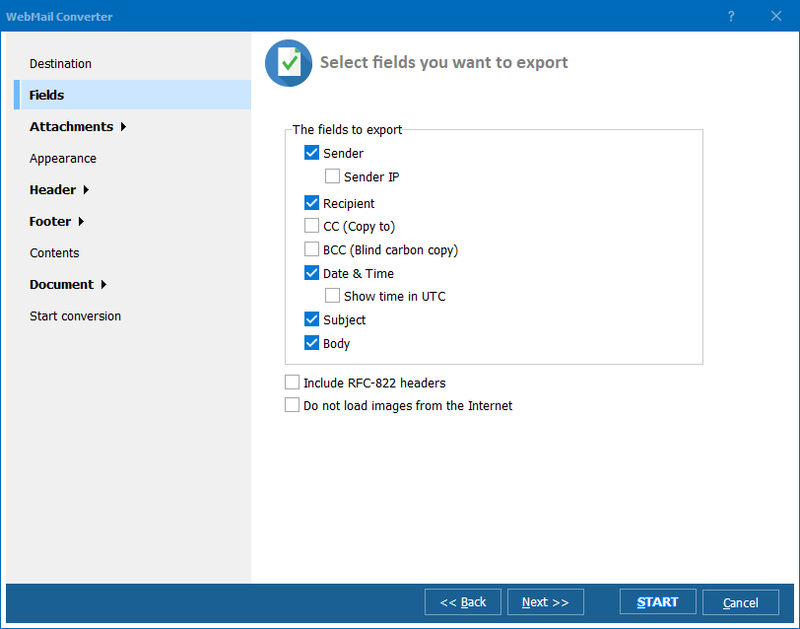 For example, you can export Hotmail emails to PDF using Total WebMail Converter. This tool works with any POP3 web mail services, including Hotmail, Gmail, Yahoo! and others. With its help you can convert mails to PDF, DOC, TXT, HTML, JPEG, TIFF and EML. Standard mail clients mostly have only printing option. However storing mails on paper is highly uncomfortable for sharing and too risky for data loss. Converted to PDF, your Hotmail messages will be backed up in an electronic form. It will be easy to refer to them later, print and share online. 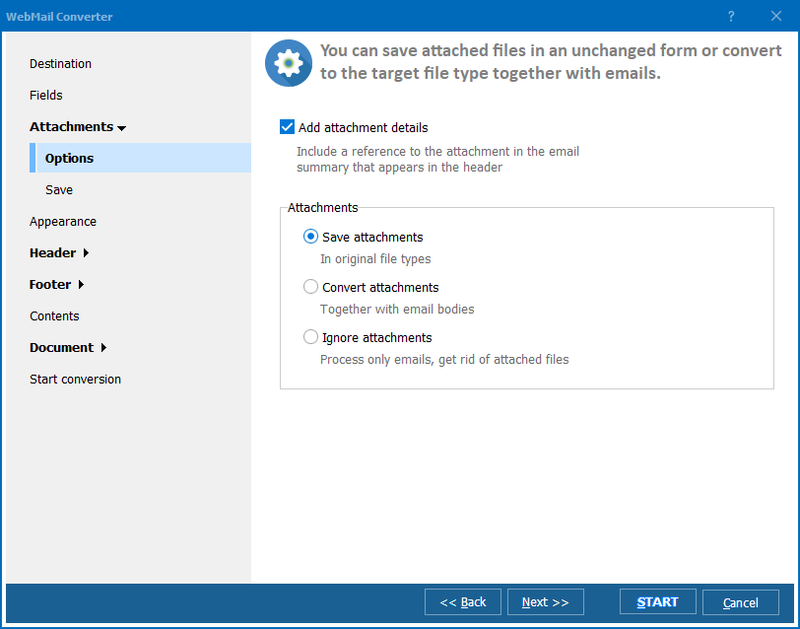 As per the attachments, you can save attached images to a folder (in their native format) and convert attached messages to PDF. All these options can be applied to one message or a batch of messages. You can convert all the source emails at once. Make sure all the required files are checked before you press the PDF button. 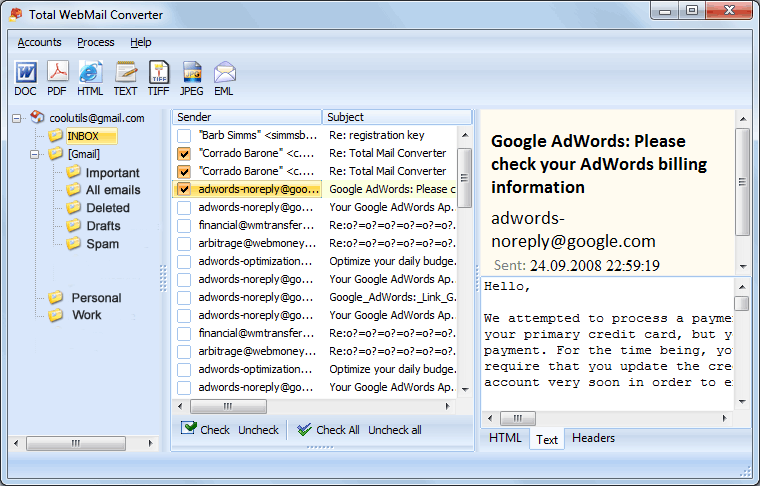 Next time you open Total Hotmail Converter you will not need to re-enter credentials once more. 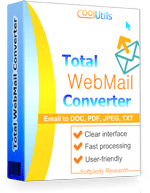 Download Total WebMail Converter trial version for a quick test!